The holiday plans are in place. Your passport has the requisite visa stamp. Your air tickets and hotel bookings are confirmed. In your head, you are half-way to your holiday destination clicking amazing pictures and uploading them on social media. The only critical detail left to address is the money that will replace the Indian Rupees in your wallet. What currency could comfortably replace the rupee in my trips abroad? Ever wondered, why in most cases, our one-stop choice is the US dollar and not the hitherto, unfamiliar local currency of our holiday destination? Well! There is more than one reason that makes the US Dollar the most popular currency across the globe. If you were to put it in perspective – the dollar is just one of the world’s 185 currencies, according to the International Standards Organization List. However, there’s one huge differentiator – most currencies are only used inside their own countries. The US Dollar is the single-most accepted currency for trade throughout the world. It makes up 64 percent of all known central bank foreign exchange reserves and almost 40 percent of the world’s debt is issued in dollars. This naturally, makes it the currency of choice for foreign banks to conduct business. In the foreign exchange market too, the dollar rules, with 90 percent of forex trading involving the US Dollar. Enough to make it the de facto unofficial global currency! So where can I use the dollar? 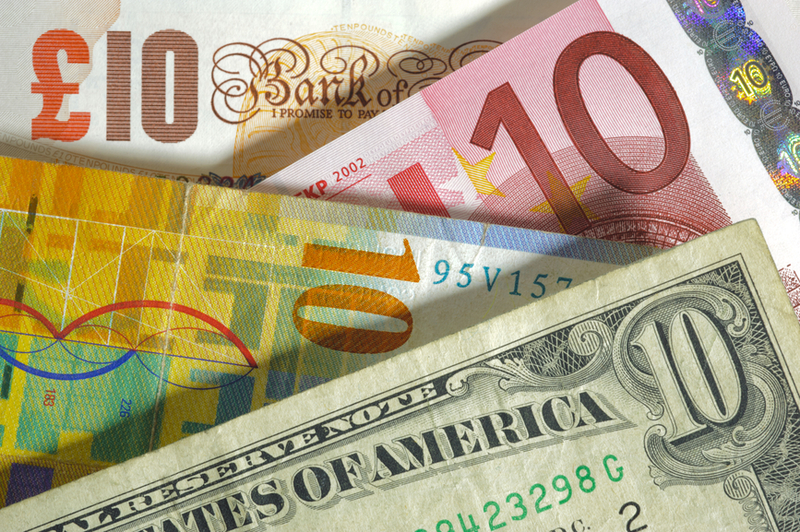 The US dollar is undisputedly the favoured foreign exchange currency of choice for most travel destinations. Besides being widely accepted, it is also fairly stable and safe in the face of the current volatile world economy. Some countries like the Philippines, Republic of the Union of Myanmar (Burma), Cambodia, Liberia, the major cities of Vietnam, and the Old City of Jerusalem have even gone ahead and accepted it as an alternative to their own currency. Several others like Ecuador, East Timor, El Salvador, Marshall Islands, Micronesia, Palau, Turks and Caicos, British Virgin Islands, Zimbabwe have adopted “dollarization” which basically, means adopting the US Dollar as their own currency, either because they don’t have a currency of their own or because, the dollar just makes more sense. Currently, the US Dollar is going strong. Wondering what that could mean for you? Simply, download the Thomas Cook app and check the live currency converter for these destinations. You will discover a whole new definition to the term ‘bang for your buck.’ Don’t be surprised if it’s enough to tempt you to pack your bags, sooner than later, to take-off on a vacation to one of them. For most other destinations too, the US Dollar, serves as the gold standard for currency exchange. Unless you are visiting the United Kingdom or a country of the European Union, the US Dollar is definitely, your best foreign exchange choice. As you will discover, it is close to impossible to even source the local currency of some developing countries like Thailand or the Middle-East or the remote Scandinavian countries like Sweden, outside of these countries. Besides, exchanging the Indian rupee to a local currency would not get you the best exchange rate. You may also have to pay fees or commissions. At the end of the trip, if you are left with local currency, you will once again lose money in exchanging it back to Indian Rupees. Other currencies including the Indian Rupee also tend to fluctuate. Stick to the US Dollar and be rest assured! It pretty much protects you from all these uncertainties. While, it is more than obvious that the ‘Green $’ is your best travel currency, it is a bad idea to carry too much cash when travelling. Also, every country has different terms governing currency exchange and some countries, like Sweden, favor cashless transactions. To avoid these hassles and focus on enjoying your vacation, it is best to get a reliable Forex card as your travel companion (other than the spouse of course!). One such card is the One Currency Prepaid Card from Thomas Cook packed with exciting features. The One Currency Prepaid Card, in collaboration with Mastercard Worldwide, gives you access to over 2.2 million ATMs and is accepted by over 35.2 million merchants – this is especially an advantage in countries that prefer cash over the card. What is unique about the One Currency Card is that it is exclusively for the dollar. This makes it your one-stop stable currency exchange source in any destination including stop-overs or emergency layovers. Afterall, who does not enjoy indulging in some duty-free shopping while stuck in transit? Once you arrive at your destination, you can exchange your dollars for the local currency. You could also use your One Currency Card at hotels or pay for transport in most destinations. In addition to these factors, the One Currency Card is highly beneficial when you’re travelling to a cashless country. You can reload your card as many times as you like, which is handy in case of an emergency. The card both CHIP and Pin protected, which allows you to carry out your transactions securely. If you do run into any trouble, Thomas Cook agents are available 24/7 to lend their assistance. You can carry a backup card in case you’re worried about losing your card or theft. If you do lose your card or if it is stolen, Thomas Cook will provide a free replacement. If you happen to be visiting more than one country and want to keep yourself abreast of exchange rates, just remember to keep the Thomas Cook app handy. The currency converter will give you live updates. No worries, if you are too busy taking in local sites and don’t have time to check the foreign exchange rate every day. You can tap on the “Rate Alerts” option and get alerts via texts and emails. So, on your next getaway, spend your time researching and preparing for the vagaries of navigating a foreign destination and leave your foreign exchange worries to us at Thomas Cook.